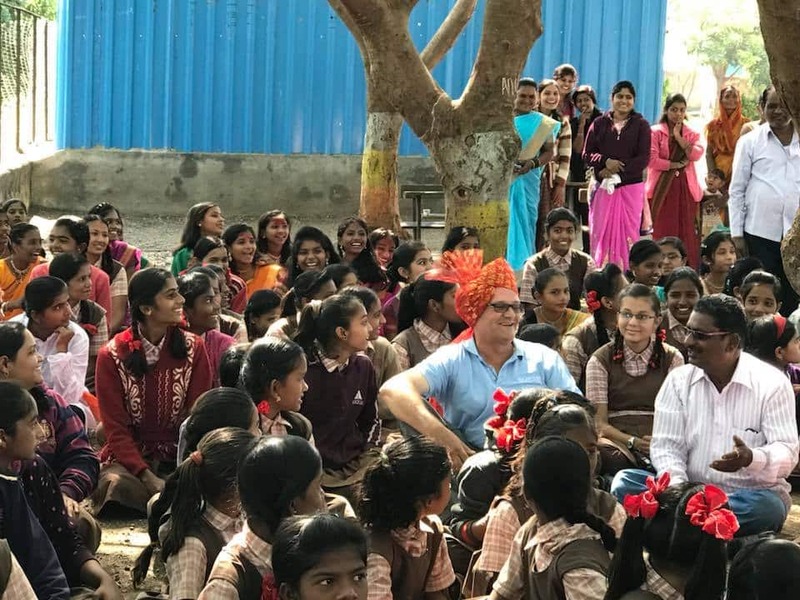 Keeping girls at school: that’s Melbourne entrepreneur Mark Balla’s ultimate aim as he builds basic facilities in rural India. 19 November was officially recognised as World Toilet Day by the United Nations in 2013 as a day to raise awareness of the importance of sanitation. 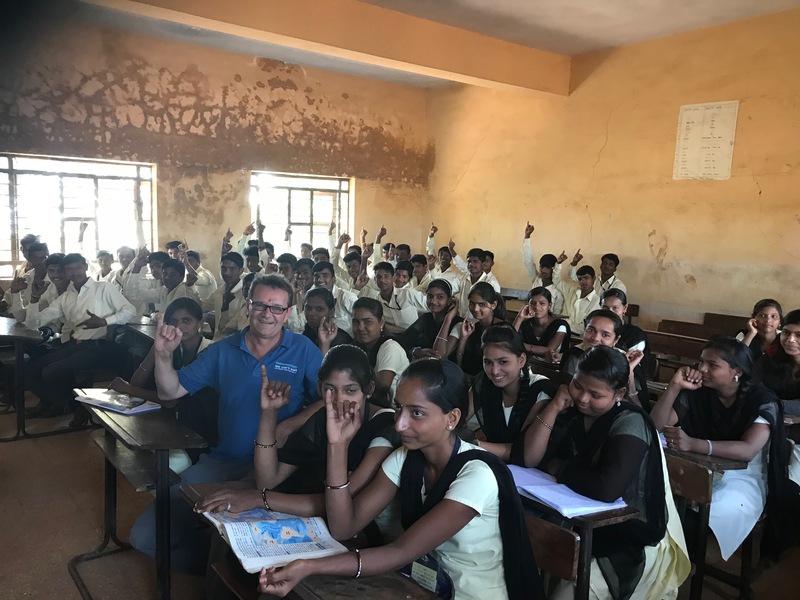 For Melbourne-based social entrepreneur Mark Balla, however, every day is World Toilet Day as he delves into the potential and limitations of bringing about a social change for school kids in rural India. Working in collaboration with Rotary Club India, Mark initiated Operation Toilets Australia (OTA), which has helped nearly 30,000 Indian students to get access to toilets. OTA builds toilets and delivers hygiene education programs in schools in developing countries with the special aim of improving educational opportunities for adolescent girls. For ‘toilet warrior’ Mark Balla, the main focus is on breaking the taboo of toilets and constructing dialogue around it. In 2013 an unplanned visit to Dharavi, Asia’s largest slum in Mumbai, saw a turn in Mark’s life that set him off on this unconventional journey. He was travelling in Mumbai’s local train when two young boys approached him and offered to take him on a tour of Dharavi. He impulsively agreed, ignoring the safety warnings for foreigners. The boys took him around the densely populated area that accommodates nearly a million people in 535 hectares of land. They also took him to a primary school where he noticed that there were no teenage girls. The majority of the students were boys of all ages, and some younger girls. When asked, the boys explained that there were no teenage girls in school as there were no toilets for them to use. They have to defecate in the open and they skip or drop out of school when they go through puberty. Mark, whose daughter was turning 13 at that time, was shocked to know that many girls were deprived of education due to lack of basic facilities. He couldn’t comprehend how girls, at an age when they should be excited about their future, were instead faced with the end of their education. “There’s the old saying that ‘if you educate a woman you educate a village’. To me the women not fully participating in the economy due to lack of education was a civil concern,” Mark told Indian Link. He realised that there are massive flow-on effects to this issue that are statistically proven. Girls who stay in school longer get married later and have fewer children, their children are less likely to die in the first five years of their lives, and their earning capacity goes up 5 -10% with each additional year spent in school. Mark then started his own research to find that according to UNICEF nearly 33% of India’s population lacked access to proper toilets and around 530 million people defecate in the open. The impact of this endemic sanitation issue included unsafe waters and communicable disease, and deaths due to diarrhoea. Lack of privacy and dignity contributed to nonattendance in schools, low health and equity outcomes and risk of disease, abuse and exclusion. 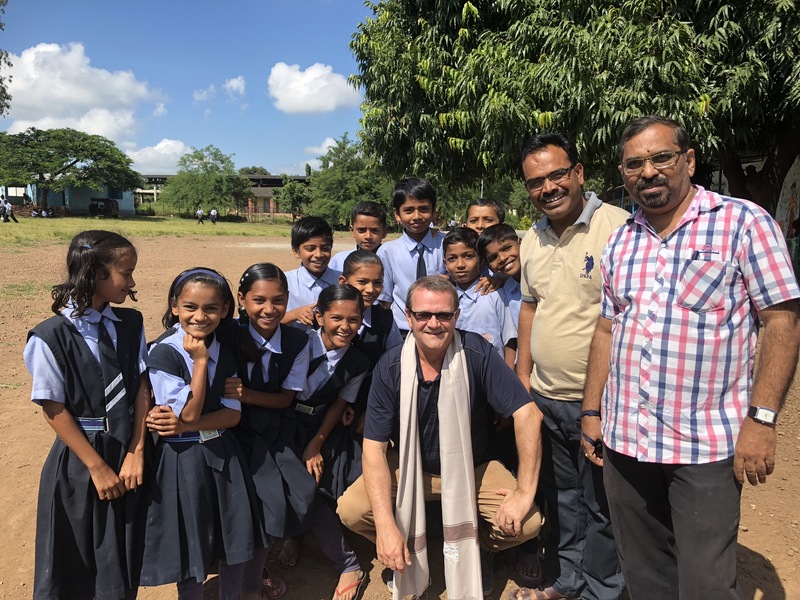 Mark returned to Australia to create ‘We can’t wait’ a not-for-profit organisation that partnered with Rotary Club to raise funds to build 15 toilets for a school in Nashik, Maharashtra. Starting with their first project in 2015 that reached 500 children, they have now reached another 30,000 children. They don’t just build toilets, they also assist with hand washing stations and training, water and sanitation education and outreach to families and wider community. “I have never had so much job satisfaction from a job that virtually pays nothing,” remarked Mark as he laughingly shared that he had to swap his Mercedes for a cheaper car recently. According to Mark, the sacrifice was not a difficult decision for him, as he likes to put his money where his mouth is and contribute to this great cause. 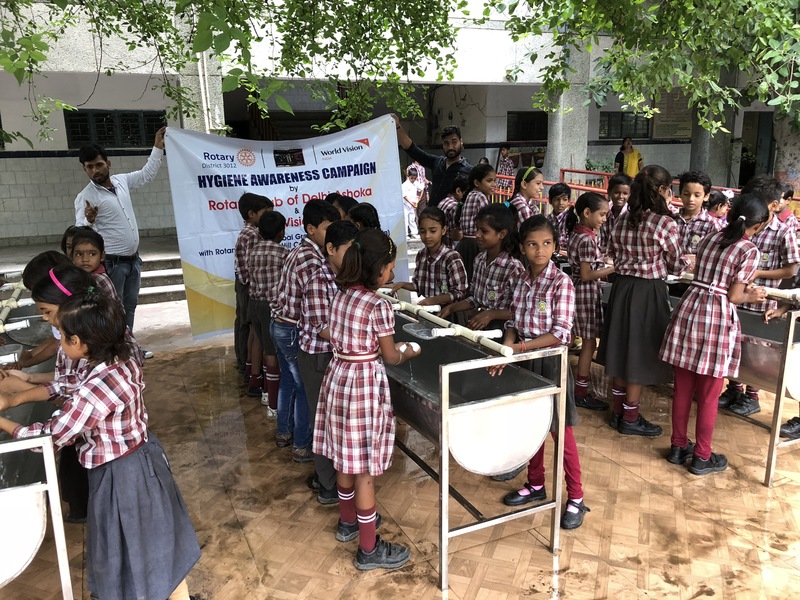 “With generous support, sponsors and ongoing efforts we have been able to remove one of the barriers to education through a reduction in incidences of sanitation-related issues, and helped create a healthier and protective school environment,” said Mark. Sharing some interesting stories of his trips to India Mark talked about his favourite experience of a school that he visited, up in the hills, a couple of years ago. The village was populated by 300 people with around 25 primary aged children, all being taught by one lady teacher. They had no toilet so he asked the teacher how they managed. The teacher told him that she took a bus from her village every day, travelled for two hours to get to the school, she then taught all day and took the same journey home. She said she got home and took a big drink of water. She went the whole day without drinking water and when he asked her how she managed when she had her periods she told him that the children do not come to school on those days. Mark was horrified and he worked out a solution where a toilet and a washbasin was quickly provided for the children and teacher to share. A few weeks later he got a message from the teacher telling him that now when she gets to school, the first thing she does is drink a lot of water. She also told him that the previous month was the first time since she started working at the school that the children had attended school every day. No doubt we will get to read more about this single-teacher school in Mark’s upcoming book A Journey to the Toilet, but it is experiences such as this that motivate Mark to continue to push the conversations, mobilise projects, support and collaborate with schools and organisations to ensure that basic sanitation needs are met. Mark praised the Indian Prime Minister Narendra Modi’s Swachh Bharat Abhiyan, a nationwide campaign that aims to have India Open Defecation free by October 2019. “What they are trying to achieve is fantastic and there have been many toilets installed in the country as a result of this ambitious project, its high profile ambassadors and Government subsidies,” he said when asked about its progress. Speaking of confusing data on the subject, Mark said that the data that they tend to trust mostly is from UNICEF and other large organisations like World Vision, as they have a large number of people on the ground collecting that data. According to him the Indian Government data is good from an infrastructure point of view, however not necessarily the quality of it. 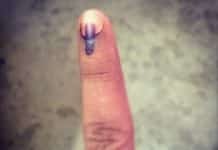 For example they may be able to list the number of toilets in schools but not necessarily the condition of those toilets or the number of children that can use those toilets. “Some of the toilets I have seen in schools are appalling. 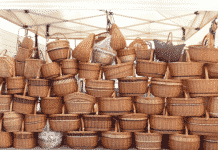 They may exist but are completely unusable or used for storage and other purposes,” said Mark. “We take on projects that are easy to implement, where water is not scarce and the school authorities are completely engaged in the process and desperate for improvement,” he continued. 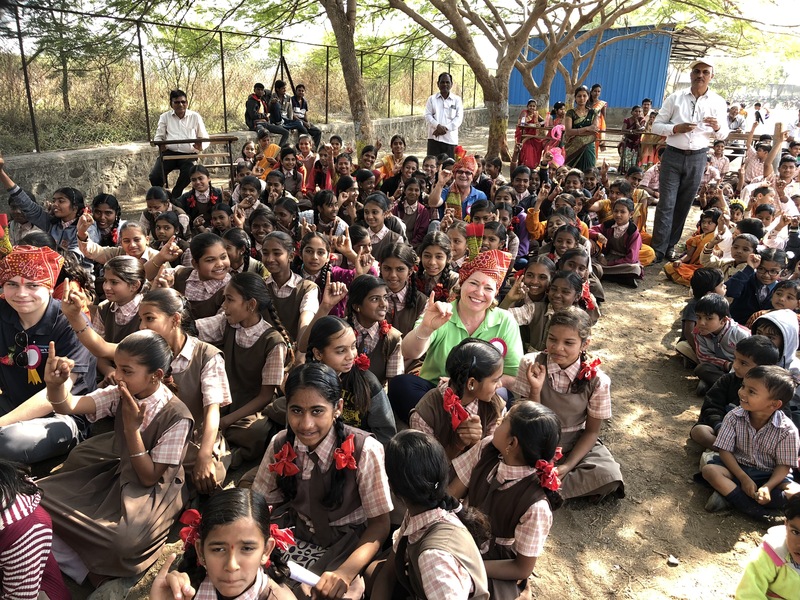 As a former writer of survival guides for Lonely Planet, his survival tip for those planning to conduct any charity work in India is that it is important not to judge anyone. The journey may not be easy and can have frustrating moments but continue to persevere and do not fail to tell stories that capture people’s attention as stories are powerful.